Are Banks About to Operate Completely Online? 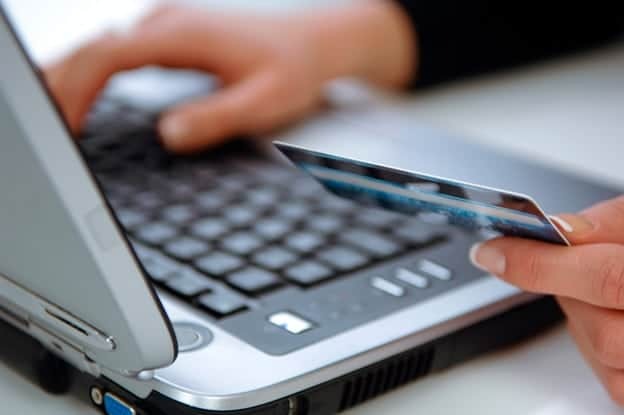 Telephone banking and online banking are rapidly changing the global financial landscape. Consider that in the UK alone, 461 bank branches will be closing in 2017, owing to changing customer preferences. The rapid growth of Internet banking has revolutionized the industry, and changes are taking place at a rate of knots. In fact, since 2015, a dramatic reshaping of banking has occurred. The rise of Internet-only banks is gaining in prominence as tectonic shifts in customer preferences take root. The evolution of online banking has rapidly changed the way people transact with one another, merchants, and service providers. Nowadays, it is entirely possible to have a check cleared in 24 hours, simply by using your iPad, iPhone, Android, Windows Phone, or Blackberry to take a picture of the check and submit it to your bank. As such, the need for physical bank branches has diminished greatly over the past few years, and there is a strong likelihood that banks, like traditional retailers, will be closing shop left, right and centre. This paradigm shift in financial services has been gaining momentum for several years. Companies like Amazon, Alibaba, and eBay have dramatically redefined e-commerce, and the same is happening with traditional banking. The cost, convenience, and comfort of being able to conduct virtually all banking services from the comforts of home, or on the go, far outweighs the benefit of going to a physical bank branch. With the exception of older customers who are used to doing things in the traditional way, millennials and ‘new-age’ bank clients prefer to conduct their banking activity completely online. Many banks across the UK, Europe and the United States are cutting costs by closing branches. Major UK banks like Lloyd/Halifax, HSBC, Yorkshire Bank, TSB and others have announced plans to dramatically restructure operations by closing branches across the country. Naturally, banks that are located in high traffic areas with plenty of business activity will be the last to close, but it’s the quiet banks that face the axe. Thanks to FinTech innovation, online banking is rapidly reshaping the industry. Consider that most people today use debit cards, credit cards or Maestro cards to make their purchases, and pay their bills. It’s rare in Europe, North America and the UK to see people carrying any significant amount of money around with them. Thanks to the digital revolution, money is being transferred without ever having to deal with it in its physical form. Perhaps the biggest catalyst in the online banking boom is smartphone technology. The Internet of things has powered the rise of multiple industries, and brought the demise of many others. Consider things like Blockbuster video outlets, traditional retailers, public pay phones, communications, and the like. Banking is now the next big industry in the crosshairs of the Internet tsunami. Fortunately, banks are in the business of making money and they understand that it’s a do or die period for them. There are many examples of banks that are choosing to take their services completely online, forgoing customers who may prefer the traditional face-to-face services offered by banks. Is this a wise move? The numbers speak volumes. Customers who prefer online banking will naturally gravitate towards the services of online banking-only banks as opposed to those with a physical location. Provided the credibility, licensing, and regulation of the banks in question are above board, customers have no gripes about powering up their smartphones, tablets or PCs and conducting their banking activity. For example, Tangerine bank Canada – 100% online is a great option for customers seeking to conduct their activity expressly online. To sweeten the deal, this bank provides a fair amount of incentives to customers in the form of a moneyback credit card, and experts have endorsed it. Consider that Tangerine does not have any physical bank branches at all. To make an online bank attractive to customers, it needs to excel in the one area that customers demand: customer service. Tangerine bank provides clients with a user-friendly interface, a positive customer experience, and excellent customer service. Bank customers are always looking for things to sweeten the deal, especially in the highly competitive online banking scene. Things like higher interest rates, promotional offers, low fees, and cashback rewards are important incentives for online banks. Traditional banks have been put on notice, and it is clear that the option of online banking is a new reality that bricks and mortar banks have to contend with.